Featuring interviews with the biggest stars and written by some of the biggest name in sports journalism, readers can be sure that no stone is left unturned in making Rugby World magazine the most comprehensive monthly publication on the planet for the sport. 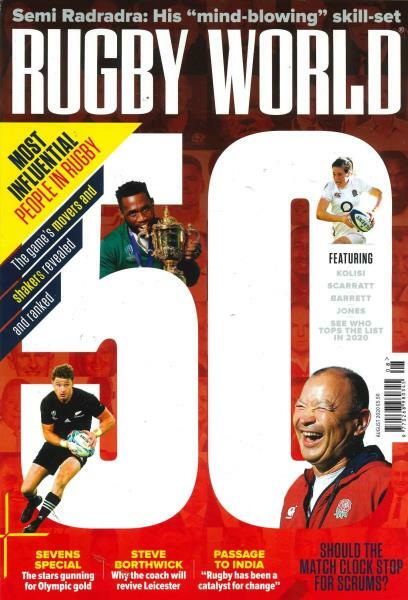 Rugby World magazine is the most trusted monthly magazine of its kind anywhere on the planet. Rugby is and has always been a game played by gentlemen – who happen to run around like barbarians on a Saturday. But for a sport of such sophistication, complexity, grace and brutality, it takes quite a magazine to encapsulate it all. Whichever hemisphere you hail from, there’s no bigger name in the sport than Rugby World. Featuring interviews with the biggest stars and written by some of the biggest name in sports journalism, readers can be sure that no stone is left unturned in making Rugby World magazine the most comprehensive monthly publication on the planet for the sport. Read all the news, views, tactical insight, tech reviews, health and fitness guidance and training advice in one place with a Rugby World subscription. Whether you are a player, coach or fan, interested in grass-roots level or professional, Rugby World is the only magazine you will need to try.